Dr. Herman graduated from New York Chiropractic College in 1989. At the time, NYCC was located in Old Brookville, which was located on the North Shore of Long Island. Dr. Herman chose NYCC because of its exceptional educational program and also because of the proximity to Dr. Herman’s hometown of Island Park, NY. During his four years at NYCC, courses included biochemistry, a major emphasis on anatomy and human physiology, X-ray, diagnosis, chiropractic adjusting techniques and patient care in the NYCC Levittown Clinic. 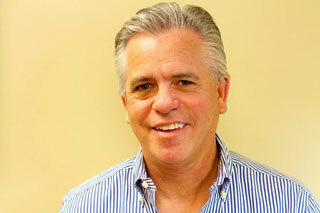 After graduating in 1989, Dr. Herman moved to South Florida to establish his practice. Dr. Herman and his wife Sharon have one daughter, Dara. They have resided in Weston since 1993. When Dr. Herman is not in the office, he enjoys playing his guitar, enjoying a round of golf, and playing tennis.